We believe that when a child is fed, they are equipped to learn, grow and imagine a future filled with opportunity. Childhood hunger has an impact in our communities. During the school year more than 33,000 children across North Dakota qualify for and greatly rely on the federal free and reduced lunch program to meet their daily nutritional needs. 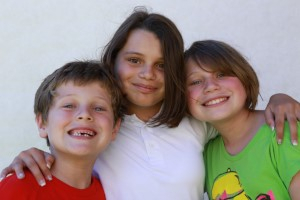 But on weekends and over the summer months, many of these children struggle with hunger. Hunger amongst our children can have lifelong and extremely costly consequences. Hungry children suffer physical, emotional and developmental impairment. They are sick and hospitalized more often. Hungry children don't learn as well at school, which in turn, limits their potential and productivity as adults. Adults who experienced hunger as children are often not as well prepared mentally, emotionally, physically, or socially to perform in today's work environment. Contact Jenae Meske at jmeske@greatplainsfoodbank.org or (701) 476-9113 to start a child nutrition program today! 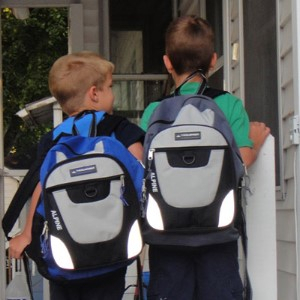 During the 2015-16 school year, the Great Plains Food Bank assisted in supplying more than 116,00 backpacks filled with food for children through our BackPack Program. A single backpack is filled with milk, juice, snacks and food for three meals to assist hungry children over the weekend when nutritious food may not be readily available. Click the link below to see how you can become involved and help thousands of hungry children across North Dakota and western Minnesota. The mission of the School Pantry Program is to help solve child hunger in America by providing nutritious food to children and their families in convenient, familiar and safe locations. School Pantries are typically located at a school, but may also operate in locations such as a library, park, youth site or at or near a college or university. Sites may have a permanent set up or may operate through a mobile distribution rotation where food is brought to the site. Sites are consistently in the same location, have set distribution schedules, and offer ongoing food assistance services. Hunger doesn't take a summer vacation and each year those relying on free and reduced cost school lunches are left to find other means to get healthy food during the summer months. 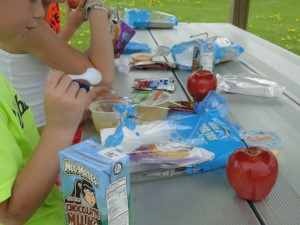 Our Youth Summer Meals Program helps to fill that need for many children. In 2017, the Youth Summer Meals Program will operate in three locations - Fargo, Bismarck and Valley City - and operate five days a week. We are still in need of a volunteer group to assist the Fargo location. Please contact Jenae Meske at jmeske@greatplainsfoodbank.org or (701) 476-9113.